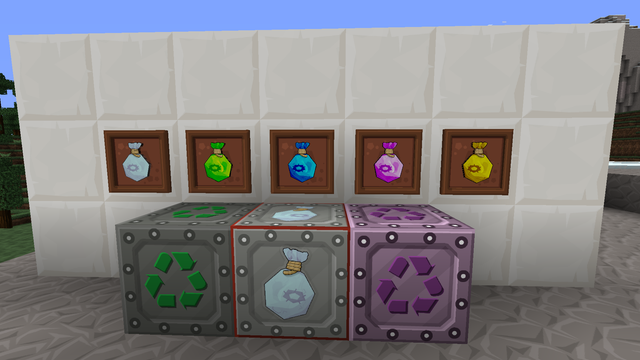 The mod includes a loot recycler block which will consume items that are dropped by loot bags, and once a certain value (determined by which bag the recycler is configured to create and a scaling factor) it will create a new lootbag that can be pulled out by any typical modded method of removing items from an inventory. Items can similarly be pumped into the block. Bags can be opened automatically using the Bag Opener, which supports the insert/extract one would expect.